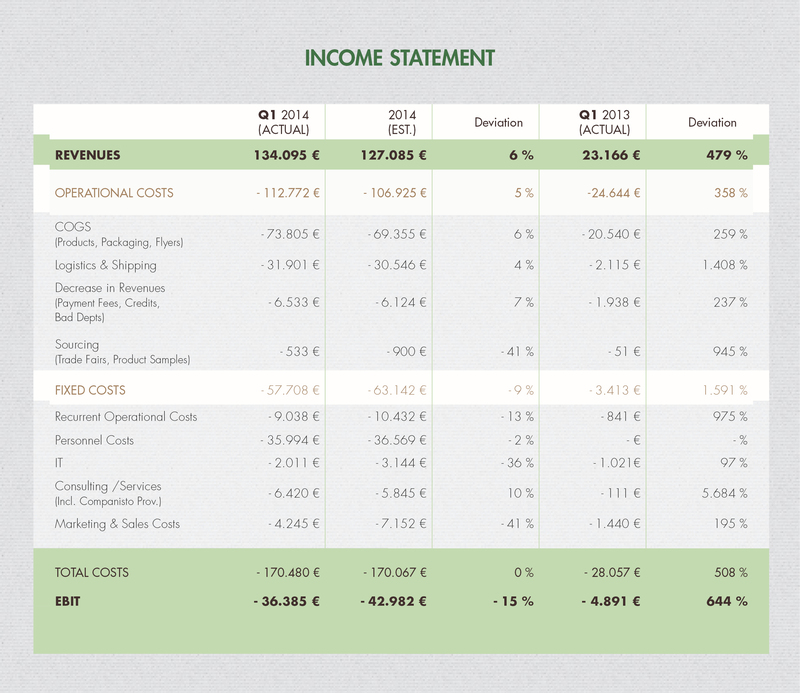 The first quarter of 2014 is over, and we would like to provide you with our latest quarterly figures immediately. Even though we put much effort into the preparation of the second financing round in the last few weeks, we were still able to experience significant growth. Revenues came in at more than EUR 134,000 and are thus EUR 7,000 higher than projected. This is primarily due to the acquisition of several corporate customers and to the high popularity of our thematic boxes. Therefore, we have already achieved 44 % of last year's revenues in the quarter directly after Christmas, which normally tends to be rather weak. 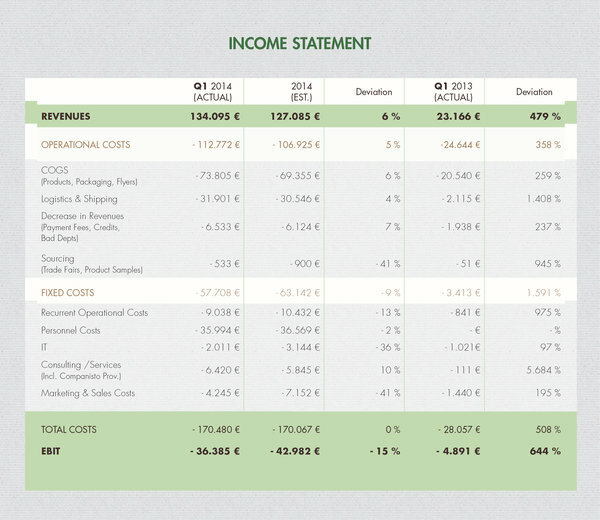 At the same time, we were able to increase quarterly revenues sixfold compared to the first quarter of 2013. Since we will not deal with many issues related to expansion, for instance B2B sales, until the second quarter, we are confident that monthly revenues will increase significantly once again. The number of subscribers projected for the first quarter was reached, so we can expect to reach 1750-1850 subscribers until the end of April. With regard to costs, we decided to temporarily reduce our marketing costs and our operational costs in order to have a financial buffer before the second financing round. Consequently, results are better than projected.